Centre Saint-Boniface lodges young people (from 18 to 28) from all parts of the world who are undergoing training and education. 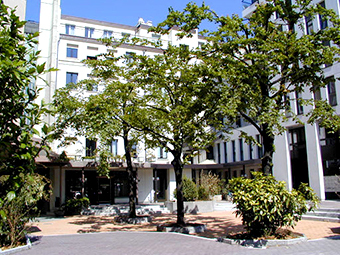 Based in the heart of Geneva, the Centre is close to the University, the Conservatoire and other cultural landmarks. It is composed of 2 residences offering 120 rooms, a cultural centre with a hall, meeting rooms, and a chapel.